“Anthropologist Ruth Behar’s Search for Home in Cuba,” LSA Magazine, Fall 2001. Article by John A. Kinch. Behar, a UM anthropology professor, last lived in Cuba in 1961 when she was a child That year her family, which is Jewish, immigrated to Israel. The family was repatriados–“repatriates.” Fidel Castro allowed Jews to repatriate to Israel and many from Cuba’s Jewish community did so with most eventually going on to live in the United States, as did Behar and her family. Others stayed because they believed in la Revolución, or in Cuba, the place itself. Behar’s film is about the rending of the small community of Sephardic Jews in Cuba and the United States. It is a search for history and identity among “Jews who are Latinos and Latinos who are Jews,” she says. She takes its title, Adio Kerida, or Goodbye, My Love, from a Sephardic love song. Sephardim are Jews of Spanish or Portuguese descent who were expelled from Iberia in the 15th century, settled in North Africa and the Ottoman Empire, and then in the early 20th century emigrated throughout the world. Only 1,000 Sephardic Jews remain in Cuba today, about 10 percent of the population before the Revolution. Behar, herself a Cuban Sephardic Jew, is one of many shining stars in the UM Department of Anthropology, regarded as the best in the country by the National Research Council and the American Anthropological Association. Behar has writen on a range of cultural issues as a poet, essayist, editor, and ethnographer. She was awarded a MacArthur “Genius Grant” in 1988 at the start of her career as an anthropologist and has been the recipient of many prestigious fellowships for her work, including a John Simon Guggenheim award in 1995. Latina magazine named her in 1999 one of the 50 Latinas who made history in the 20th century. This book also foreshadowed Behar’s current documentary that continues this interplay of her professional and personal pursuits. With the medium of film, Behar has been able to extend her written voice into the visual realm, by utilizing arresting images of Cuba, her eloquent voice-overs, the folk music, and stories from people in their own words. What is clear by watching this “personal documentary” is that the narrative of fiction, the emotion of poetry, and the record of anthropology can work well in a skilled hand. Adio Kerida is a powerful story. What also becomes apparent, as the viewer is given an intimate glimpse into the lives of these Cubans in Havana and expatriates in the States, including Behar’s own family, is that much about being human is community — however intact, however scattered, that community may be. For the dwindling community of Sephardic Jews in Cuba, and those like Behar who are now visitors to their homeland, it is a bittersweet question. “Documentaries capture Cuban-Jewish identity,” Miami Herald, January 28, 2002. Review by Fabiola Santiago. (…) Adio Kerida, titled after a popular Sephardic song, chronicles the many trips to Cuba of anthropologist Ruth Behar, a University of Michigan professor and book author who says she is “obsessed with going back and figuring out what my connection is to Cuba.” (…) For Behar, her many return trips to Cuba in the past decade have been a quest for lost childhood memories she can never recover. The author of the essay collection, The Vulnerable Observer: Anthropology That Breaks Your Heart, Behar left Cuba with her family when she was 5. Her parents settled in New York, her grandparents in Miami Beach. Her parents have often told her about the family’s long walks along El Malecón, the famous Havana seawall that wraps around the city’s edge like an abrazo, an embrace between long-lost loved ones. Certainly, there are photographs of Ruth, “a happy child,” in her Havana home. Yet Behar cannot remember her childhood nor the Cuba of yesterday. “How I wish I could recall something,” she says in her wistful narration of the 90-minute documentary. Some of the most interesting aspects of Behar’s story draw on the heritage of her [grand]parents, who fled Europe in the 1920s and arrived in Cuba “at a time when the United States was closing its doors.” Cuba opened its doors, Behar says, because the government wanted to “whiten” the island’s population and so it welcomed white European immigrants. 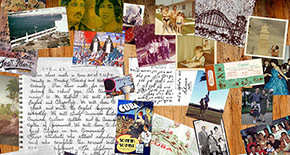 The documentary, culled from four trips Behar made to Cuba between December of 1999 and last year, is “a little bit of a friendly argument between me and my father,” Behar says in an interview from her home in Ann Arbor. “He doesn’t think we should look back. ‘We live here now in the U.S.A.,’ he says. My idea is no, maybe there is some way to return, in memory, in sentiment,” she says. The film, “a peace offering to my father,” also includes footage of interviews with members of the Cuban-Jewish community in Miami, including Samy, the famous hairdresser to the stars, whose [mother is] a Sephardic Jew. But some of the most touching scenes are filmed in Cuba as Behar visits people and places once dear to her parents, as well as members of the dwindling Jewish community. Only about 1,000 Jews remain on the island, and many are immigrating to Israel, which is welcoming and sponsoring them, Behar says. In one scene, Behar meets a man also named Behar who used to be a childhood friend of her father. The man sends Behar’s father a warm greeting via the daughter’s videotape. In another scene, Behar embraces and talks with Caro, the black woman who took care of her when she was a child. “Cuban Jewish films prove you can go back — and move forward,” Jewish Star Times, January 23, 2002. Review by Liza Brooke. (…) The title of Ruth Behar’s Adio Kerida, a personal and poetic exploration of the filmmaker’s Jewish Cuban roots in post-Castro Cuba, is deliberately misspelled in Spanish to represent the Ladino language of the Sephardic Jews expelled from Spain in 1492, the year Columbus departed for what would become America. The phrase, frequently intended as a bitter goodbye to an uninterested lover, refers to the Jews’ experience of farewell with their various homelands. “I took on this project as half poet, half anthropologist who can represent Sephardic Jewish Cubans in a way that was personal, funny, intimate,” Behar explained. “I wanted to take my project very personally, to be involved, and as a member of the Sephardic Jewish community community in the Diaspora, to somehow help bridge the gap between the Jewish Cuban community in Miami and the Jewish community that is still in Cuba. In reality, the two communities don’t really connect; they’re separated by history and immigration, yet at the same time they share a common heritage. “Adio Kerida en el Festival de Cine.” El Nuevo Herald, lunes 28 de enero del 2002. RUTH BEHAR es una cubana judía que emigró de su tierra natal cuando era una niña. En Estados Unidos se convirtió en una reconocida profesora de antropología de la Universidad de Michigan, poeta y autora. Su primer documental de 90 minutos, Adio Kerida, sobre la historia de los judíos sefarditas en Cuba, es una odisea cinematográfica en búsqueda de sus raíces, de esa niñez que no recuerda pero que a la misma vez no puede borrar. En el filme, Behar visita lugares donde vivió en Cuba, las sinagogas, las calles, los cementerios judíos. compartiendo con personas que la conocieron a ella y a sus familia hace décadas. El título del filme se deriva de una canción judía sefardita en el idioma Ladino del siglo XV, que significa un amanta con el corazón contrito diciendo adiós. El documental es un montaje audiovisual con comentarios por Behar, entrevistas con judíos en la isla, Miami, Nueva York y Filadelfia, con sus dosis de humor, música sefardita y cubana, y gran nostalgia por la cultura judeocubana. Adio Kerida se presentará como parte del Festival de Cine de Miami. “Adio Kerida is about argument, reconciliation,” Ann Arbor News, February 16, 2002. Review by Christopher Potter. The Spanish title of Ruth Behar’s first-ever film, “Adio Kerida“–premiering locally at the Michigan Theater Sunday evening–means “Goodbye Dear Love” in English. Then again, it’s not exactly Spanish, either. Behar used this deliberate misspelling to call attention to the Diasporic Jews who were expelled from Spain in 1492, settled largely in the Ottoman Empire (now Turkey), and many of whom eventually emigrated to Cuba in the early 20th century. These included Behar’s paternal grandparents, who hailed from Turkey, as well as her maternal grandparents, who emigrated from Poland and Russia. “I’m both Sephardic and Yiddish,” Behar says, adding the two different strains of Jewish culture helped create unity more than disunity in her family. Born in Cuba in 1956, she found herself uprooted along with her mother and brother by her father, who had come to hate the Castro regime. “We got everything into one suitcase and left the country,” she recalls. The next stop was New York City, where Behar’s parents still live today. She calls the 89-minute movie “basically an argument and also a reconciliation between my father and myself. During the last decades I’ve been back to Cuba about 30 times, while he still refuses to go back.” Adio Kerida is actually a Sephardic song about saying goodbye to one’s beloved, a very bitter goodbye. “I used it to highlight the theme of goodbye and return, both among family and country. In the late 1980s Behar won a MacArthur Foundatoin “Genius Grant,” which she used to fund her anthropological work. 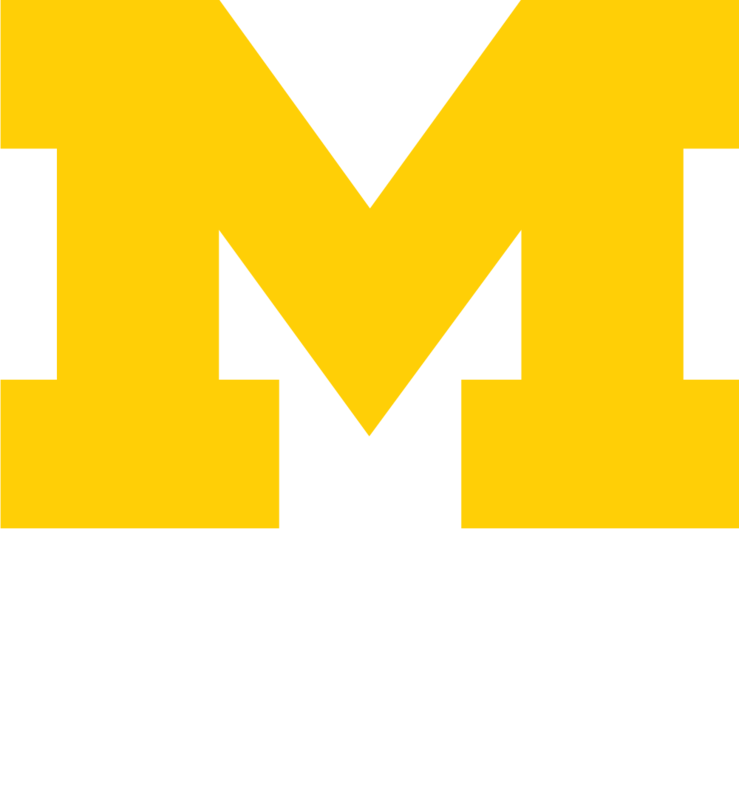 A recipient of many fellowships, she worked in Spain and Mexico and had a fellowship at Johns Hopkins before arriving at U-M in 1986. Her husband, U-M anthropologist David Frye, and son Gabriel have gone to Cuba with Behar several times. She admits visits to her homeland have become a labor of love. “Spanish was my first language. And even though I had no real memories of the place, Cuban culture has this way of just taking people in, turning them into Cubans. “Sephardic Film, Adio Kerida, Screened at Wilmington JCC,” Jewish Voice, April 5, 2002. Review by Joel Glazier. Dover Rabbi, Michael Godlberg, commented to Ruth Behar, filmmaker, “You have provided a rare combination of intellectual material with artistic excellence,” after viewing the 90 minute film Adio Kerida. Author, anthropologist and recent award winning filmmaker, Ruth Behar, presented her film about her own search for memory in her native Cuba. The audience agreed with Rabbi Goldberg’s characterization of the fascinating film that combined a deep lesson about Jewish continuity along with an in-depth look at the past and current Jewish community of Cuba. Not only did the filming teach Ruth Behar lessons about her own family but her frequent visits to Cuba connected her deeply to the Jews who grew up with her family. We learn that her parents and others took their house keys with them on their exile. Cuban exiles in Miami established two shuls of their own there and the Jewish cemeteries in Cuba are still maintained as are two of Cuba’s Sephardic shuls. In the film we get to know both exiles and current members of Havana’s Jewish community. One young man, after the death of his father, undertook his own self study of Judaism and today is a Torah reader in Havana. Jewish groups often visit Havana in organized missions. It is learned that so many Jewish groups now visit and bring food items and so many medicines that full time volunteers are needed in the Jewish community of Havana to distribute it all, even to needy non-Jews. Concentrating on her own family’s history, it is learned that many Jews of Cuba arrived from Turkey and 9 Torahs were brought with them in the 1920’s. Those scrolls remain in Cuba today. On her several trips to Cuba, Ruth Behar visits the family who has lived in her family’s former apartment. The original bedroom furniture is still in use and after 40 years, the apartment seems familiar as not much has changed in her old neighborhood. The current residents welcome Behar into their home and she also visits the former family helper who helped raised her when she was a little girl. Along with her parents and brother, Mori (now a jazz musician in Philadelphia), the Behars are filmed on a return visit to Queens, New York, where they lived from 1962-68 after leaving Cuba. “Shalom” is the greeting they get there in Queens, as a Jewish family from the Soviet Republic of Uzbekistan are the apartment’s occupants in 2002. “This was a lovely, knowledgeable audience here in Wilmington. It was wonderful to have Latinos and Jewish members communicating, learning and connecting together here,” commented Behar after a long question/answer session following the film. Adio Kerida (Goodbye Dear Love) has been screened at Latino and Jewish film festivals around the United States and a Spanish language version of the film was shown in Havana. The program here was sponsored by the JCC, Nuestras Raíces and The Delaware Humanities Forum. “Adio Kerida,” Detroit Jewish News, May 2002. Review by Kim Roth. Like much art in progress, the 90-minute documentary Adio Kerida took on a life of its own. Ruth Behar, producer and director, initially planned a “less ambitious project” to tell the story of Sephardic Jews in Cuba. But it grew as she decided to incorporate other locales–Miami, New York, Philadelphia–and her own story. It makes its Detroit premiere 12:30 p.m. Sunday, May 5, in Commerce Township, followed by a discussion with the filmmaker. Behar was born in Cuba to an Ashkenazic mother and Sephardic father. Her family left Havana for New York when Behar was a child. She attended Wesleyan University, Princeton University for her master’s degree and doctorate, and today teaches anthropology at the University of Michigan. Woven among her academic and literary accomplishments are dozens of trips to Cuba in search of memory, understanding and identity. The film incorporates words — in English, Spanish, Hebrew, Ladino — and music and dance — Jewish liturgical music, Sephardic love songs, tango, bolero, flamenco, salsa — with its footage. Scenes along Havana’s malecón, seaside walk, and within the city’s homes and synagogues, give viewers a sense not just of Behar’s story but of the “living presence of Sephardim in Latin America” and multiculturalism within the Jewish community — precisely her intention. She talks with Miguelito, a 7-year-old Afro-Cuban drummer about to make aliyah to Israel, about his departure, and to Roberto Levy Cohen, Cuba’s eldest Sephardic Jew, about the importance of memory. Stateside, she continues her exploration through conversations with her brother, a musician in Philadelphia, and a hairdresser in Miami, among others. Through making Adio Kerida (the title is borrowed from a Sephardic love song), Behar has found some of the answers she sought over the years.